The only view of the pits is from the road between Tottenhill village and watlington. This site is particularly good for Smew in winter, not a common bird in <?xml:namespace prefix = st1 ns = "urn:schemas-microsoft-com:office:smarttags" />Norfolk. 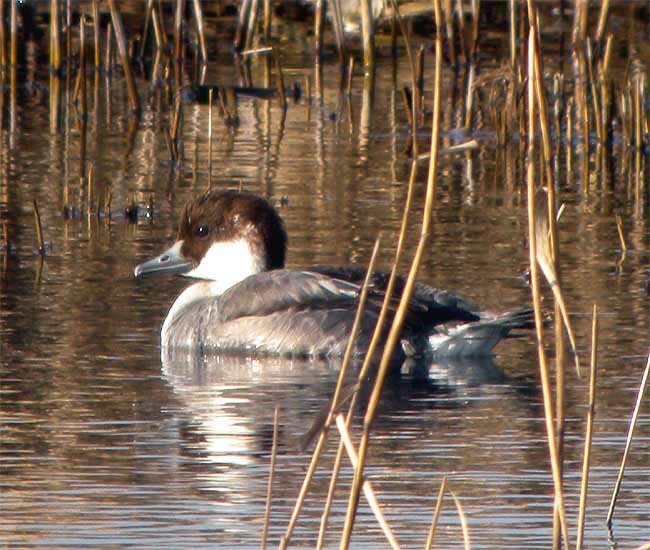 It is good for other diving ducks, for example Tufted Duck, Pochard and Goldeneye. The other attraction here is Lesser Spotted Woodpecker looked for in the wood south of the road, again you can only view from the road as the wood itself is private.